Ant-Man and The Wasp: Nano Battle Ride – Official Poster! Marvel Studios concept Artist Andy Park has revealed his astonishing poster for the new Marvel Ant-Man and The Wasp: Nano Battle Ride at Hong Kong’s Disneyland! 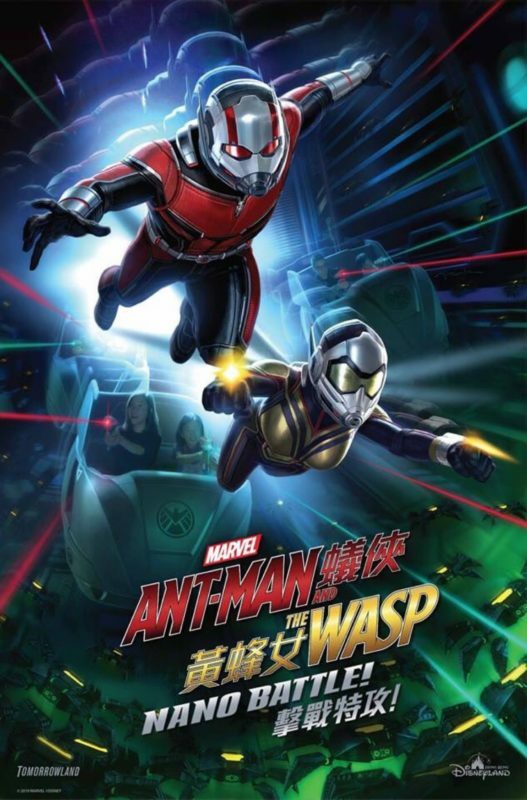 The Marvel Ant-Man and The Wasp: Nano Battle ride is set to open tomorrow (3/31/2019) at Hong Kong Disneyland! Spider-Man: Far From Home Prelude! Get ready for Spider-Man: Far From Home with a two-part comic book prelude from Marvel Comics! Written by Will Corona Pilgrim and Art by Luca Maresca. Spider-Man: Far From Home Prelude #1 is available now! Marvel Comics Absolute Carnage Trailer! Here’s the Marvel Comics Absolute Carnage Announcement Trailer! Just announced at C2E2: Absolute Carnage by Donny Cates and Ryan Stegman! Absolute Carnage begins in the Free Comic Book Day issue: Spider-Man/Venom #1 and will continue in August! Find Out About FCBD Here! Continue to see the cover! 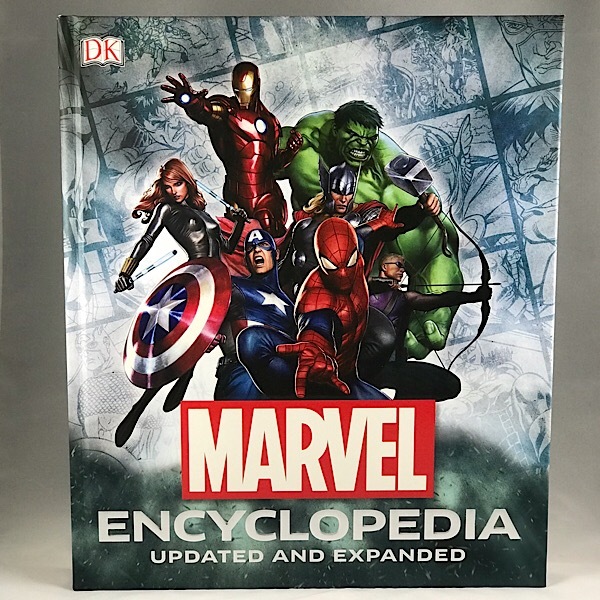 Let’s take a look at the updated and expanded Marvel Encyclopedia Hard Cover Book. The updated and expanded Marvel Encyclopedia is the definitive guide to the characters of the Marvel Universe. 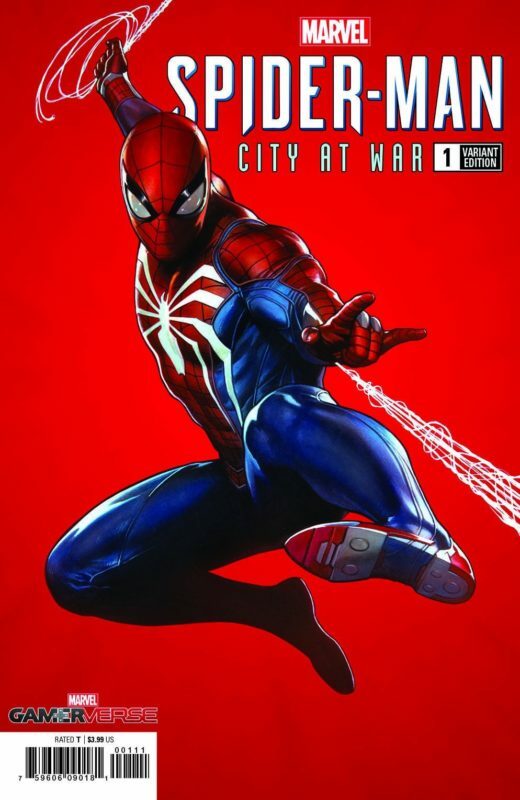 Marvel GamerVerse Spider-Man: City At War Comic Book Variant Cover! The Marvel Comics GamerVerse Spider-Man: City At War #1 variant cover artwork is by Adi Granov! eBay Exclusive Captain Marvel Comic Book! Comic collectors! 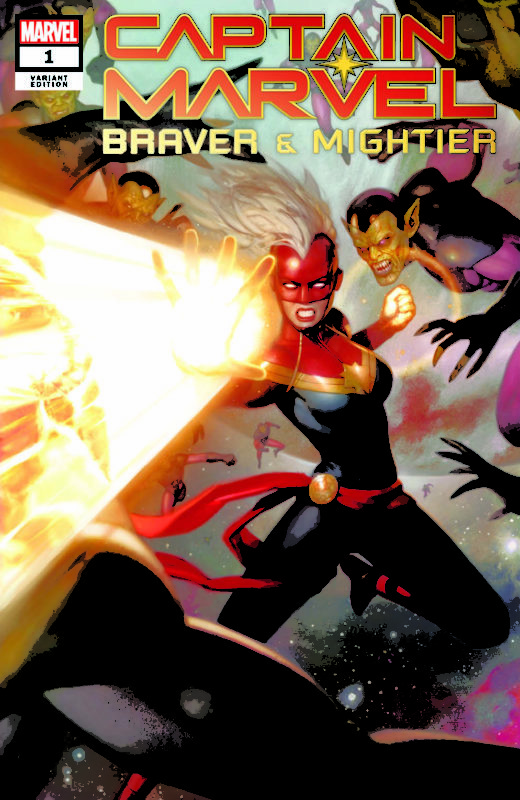 There’s a MyComicShop & eBay Exclusive Marvel Comics: Captain Marvel – Braver And Mightier #1 Variant Cover by Ryan Brown available for $5.99 with free shipping!